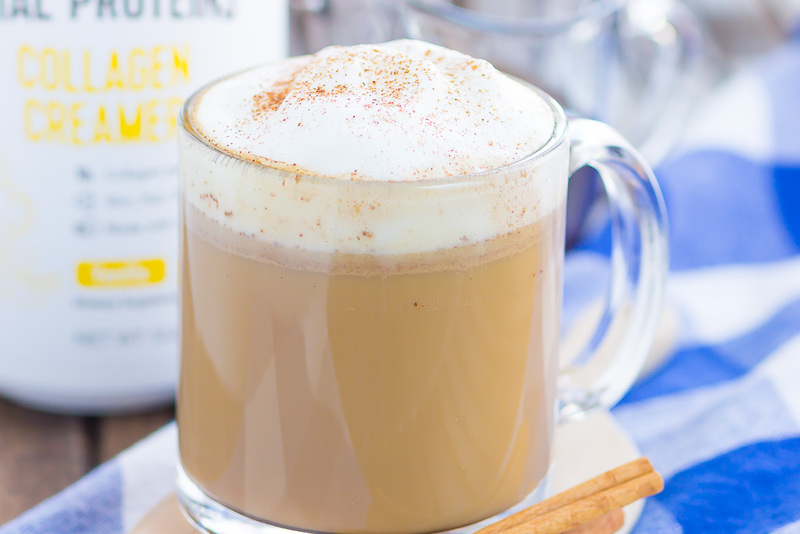 This Cinnamon Vanilla Latte is filled with cozy flavors and ready in less than ten minutes. 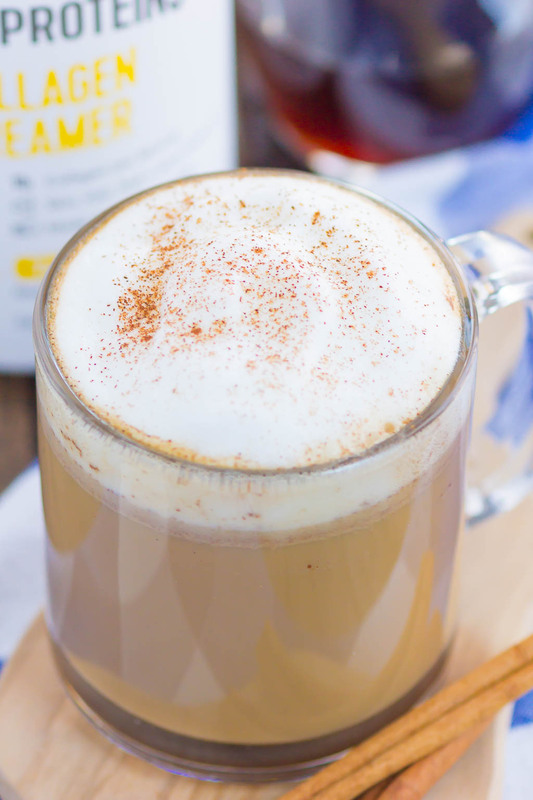 Packed with sweet notes of cinnamon and vanilla, you can skip the coffee shop and make your own latte at home for the fraction of the price and calories! Oh, who am I kidding…any time is coffee time, right? If you’ve been hanging around here long enough, then you probably know that I love my coffee. Yep, we’re pretty much inseparable. From the moment I wake up, I start thinking of that precious cup of joe. What kind of coffee will I have, should I use a flavored creamer, are five cups too much? Ok, that last question isn’t usually part of my thought process, but, the rest are! Are you the same way? Do you eagerly look forward to your morning cup of coffee or tea to get you going in the mornings? 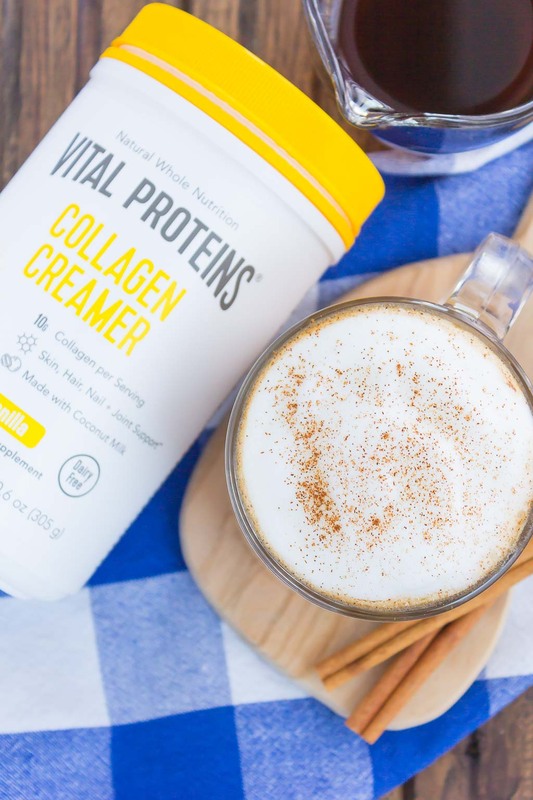 I’ve mentioned this before (and shared numerous times on Insta-stories via Instagram), but my favorite thing to add to my coffee is a scoop or two of Vital Proteins® Collagen Peptides. I do this practically every morning, and have so for over a year. It’s an unflavored protein powder that is extremely beneficial to the body. It helps to improve your skin, hair, nails, joints, ligaments, and tendons. In fact, I have several recipes that I’ve shared before featuring Vital Proteins®. 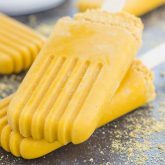 Remember these Red Velvet Scones, those Strawberry Banana Baked Oatmeal Cups, and these Pumpkin Pie Pops? Yep, all made with my favorite collagen peptides. It’s so easy to sprinkle a little into practically anything! And when Vital Proteins® reached out to work together again this year, I practically jumped at the chance. I only work and share brands that I use, trust, and love, and Vital Proteins® is one of them. 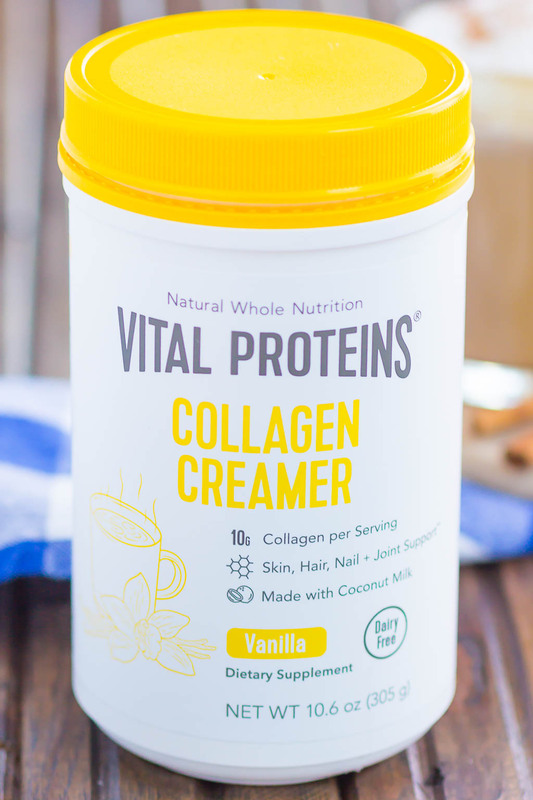 After discovering Vital Proteins® Collagen Creamer – Vanilla, I knew that my coffee was going to get even better. 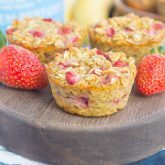 It has healthy fats from organic coconut milk, plus 10 grams of collagen peptides and is free of dairy, soy, carrageenan, gluten, artificial sweeteners, and added sugars. It’s also paleo and Whole30 friendly, too! I also knew that a tasty homemade latte was calling my name. I mean, coffee…need I say more? Have you ever tried making your own latte at home? It’s so easy, I promise! And once you start, it’s hard to stop. 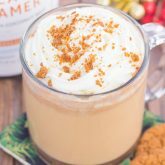 Especially with this cinnamon latte recipe. Just four ingredients is all it takes to whip up a cup of deliciousness. And by using the Vital Proteins® Collagen Creamer in Vanilla, you don’t have to feel guilty about using cream in your coffee because this is good for you! Support your body and get your caffeine fix at the same time. Sign me up! 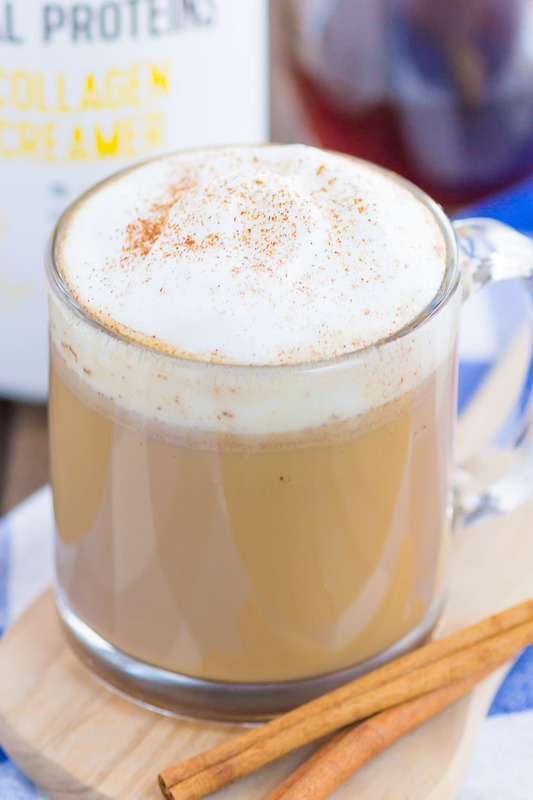 To make this simple vanilla cinnamon latte, brew an 8 ounce cup of coffee. Add in a scoop or two of the collagen creamer, some cinnamon, and sweetener, if desired. In a small saucepan, heat some milk until warmed through. Using an immersion blender, hand mixer or frother, froth the milk. Add the foam to the brewed coffee and enjoy! See how easy it is? Once you taste this Cinnamon Vanilla Latte, you may never want to go back to the coffee shop kind. 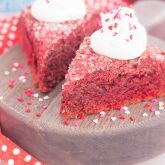 Sweet, yet bold, and brimming with deliciousness, you can save your money (and calories!) by whipping up your own cozy drink. Add Vital Proteins® Collagen Creamer - Vanilla, cinnamon, and sweetener (if desired) to coffee. Stir to combine. Pour into the coffee mug and top with foam.